2002: As Governor, Gilmore implemented the Virginia Standards of Learning, continuing an initiative started by predecessor George Allen. “I’m against Common Core and I feel very strongly about it. And the reason is that I had the experience with this. I know what this is really about. Education is absolutely a local function. That’s where the parents and the teachers know what the demographics of their kids are like and can tailor the education in the best possible way to their kids. And the state can offer that support the way that I did when I was governor. But I’m going to tell you, you can’t run this out of Washington, D.C. You just can’t. Who’s going to be the national school board? The Internal Revenue Service? Who? Who? 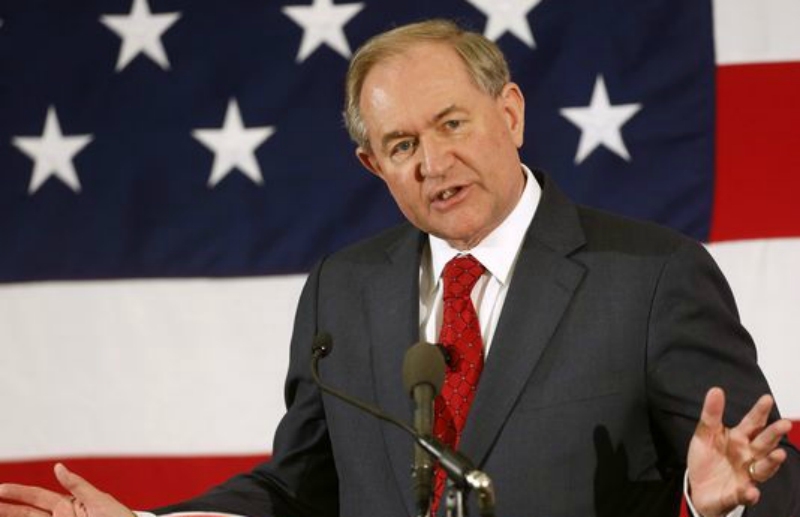 SUMMARY: As Governor, Jim Gilmore implemented the Virginia Standards of Learning, a wholly Virginia-based set of standards, which the state continues to use as an alternative to the Common Core. 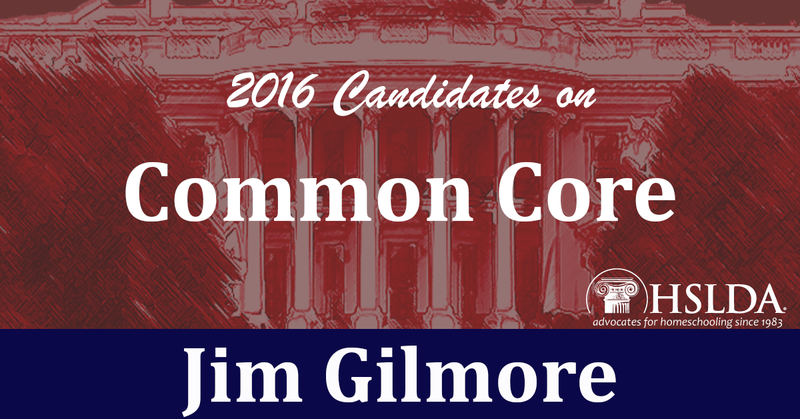 Gilmore is against the Common Core Standards. Photo Credit: First image graphic design by Andrew Mullins; second image by Jim Cole, AP.